Last week, I opened my Instagram app, everything was normal, and I had quite a few notifications. Among those notifications was a comment from CV Skinlabs saying that I won their Instagram contest. Exciting right? Very exciting! 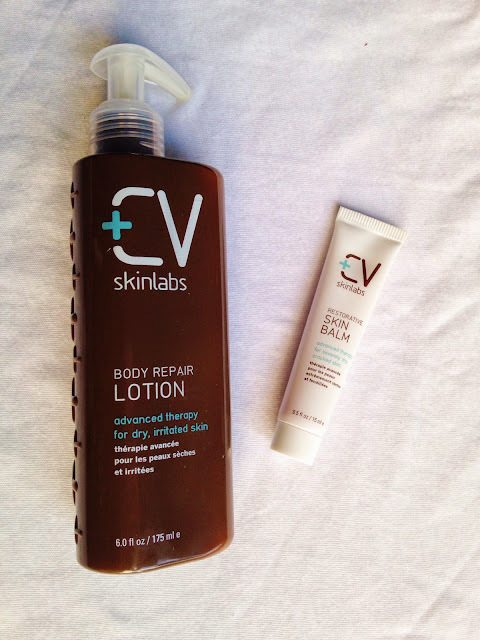 I won a skin balm and a body repair lotion from CV Skinlabs. I love free beauty products. 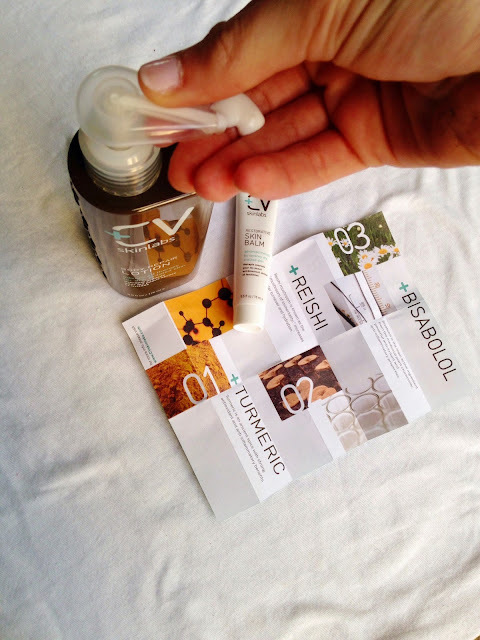 Before winning the contest, I did not know anything about CV Skinlabs, but once I had my winnings in hand, I started reading the boxes, and reading their website and it turns out that this is a really neat company! They utilize tumeric, reishi, and bisabolol. Tumeric is a great anti-inflammatory, reishi increases cellular turnover, and hydration, and bisabolol is from chamomile, and it has anti-irritant and anti-inflammatory properties. I love a lotion with benefits. 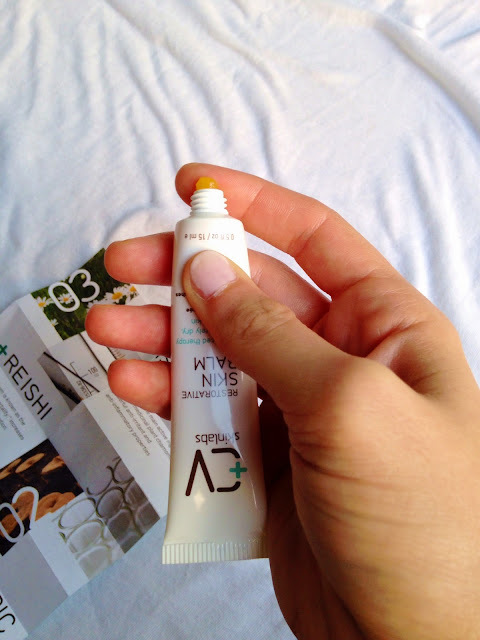 This skin balm is perfect. Due to the season change, my palms and heels have become dry, and this skin balm is wonderful! It takes care of all of the scaley skin, and dry spots. CV Skinlabs is absolutely wonderful. I have developed a routine with this wonderful lotion. After I shower and exfoliate my arms, I rub the repairing body lotion on my arms and then on my legs. You can definitely smell the tumeric, but it is such a luxurious lotion, and such a subtle smell, I don't mind the smell one bit. This may be psychological thing, but I feel this lotion working, like an energizing, magic lotion. Yes, it is all psychological, but that is ok. 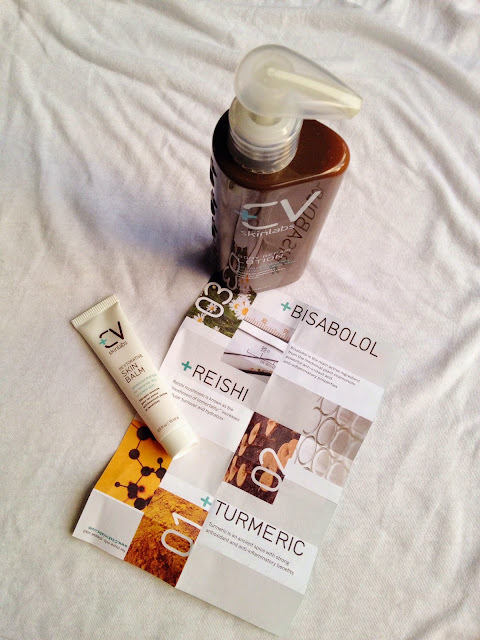 These are great products, and I definitely want to check out their Rescue & Relief spray. It would be great for my beach bag. I have been keeping my CV Skinlabs lotions close by me at all times, the lotions add relief, and the packaging gives me happiness. I love simple packaging with a good color palette. I am so glad that I won that contest! 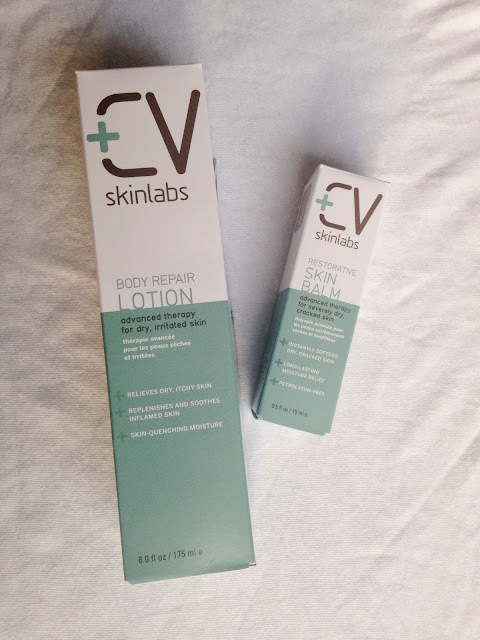 So glad that I had the chance to try out CV Skinlabs! They are awesome! Completely off topic, but today was a beautiful day. My cousin, Isabelle had her seventh birthday party at Chucke Cheeses, and when I got home I studied Anthroplogy in my cozy IKEA comforter. It was nice. 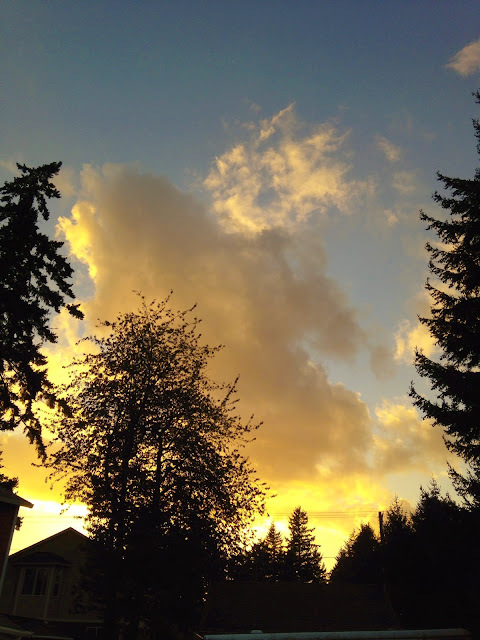 Toward the end of daylight, the sky was beautiful! Today was a great day. I liked this CV Skinlabs. Is it available for shop in USA? Absolutely! I'm in the states myself. 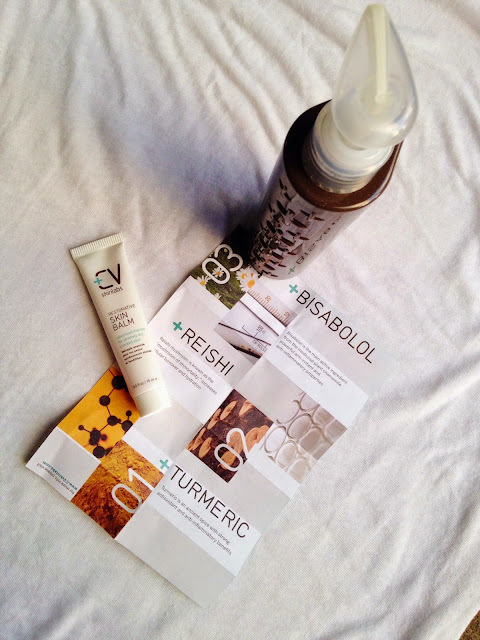 Here is their website: http://cvskinlabs.com. Hope this helps!